How can you gain a better understanding of your audience? Well, one way would be to use user-generated content that can be integrated into Machine Learning (ML) technology. In this article, Jamie Munro demonstrates how that can be done. If you are unfamiliar with Machine Learning (ML) technology, it has existed in science fiction for many years and is finally reaching its maturity in our society. One of the first ML examples I saw as a kid was in Star Trek’s The Next Generation when Lieutenant Tasha Yar trains with her holographic opponent that learns how to fight and better defeat in future battles. In today’s society, China has developed a “lane robot” that is a guard rail controlled by a computer system that can direct the flow of traffic into different lanes, increasing safety and improving traveling time. This is done automatically based on time of day and how much traffic is flowing in each direction. Another example is Pittsburg unveiling AI traffic signals that automatically detect traffic patterns and alter the traffic lights on-the-fly. Each light is controlled independently to help reduce both the commuting time and the idling time of cars. According to the article, pilot tests have demonstrated a reduced travel time of 25% and idling time by over 40%. There are, of course, hundreds of other examples of ML technology that make intelligent decisions based on the content it consumes. To accomplish today’s goal, I am going to demonstrate (using Node.js) how to perform a search with Twitter’s API to retrieve content that will be inputted into the ML algorithm to be analyzed. This way, you’ll be provided with characteristics about the users who wrote that specific content so that you can get a better understanding of your audience. The example application will be written using Node.js as the server. It is beyond the scope of this article to demonstrate how to write an ML algorithm. Instead, to aid in the analysis, I will demonstrate how to use IBM’s Watson to help you understand the general personality of your social media audience. In 2011, Watson began as a computer system that attempted to index the (entire) Internet. It was originally programmed to answer questions posed in ordinary English. Watson competed and won on the TV show Jeopardy! claiming a $1,000,000 cash prize. Watson was now a proven success. With the fame of winning on Jeopardy!, IBM has continued to push Watson’s capabilities. Watson has evolved into an enterprise-level application that is focused on Artificial Intelligence (AI) which you can train to identify what you care about most allowing you to make smarter decisions automatically. The services in this category allow you to build intelligent chatbot’s or a virtual customer service agent. This category is focused on teaching Watson how to interpret data to unlock hidden value and monitor trends. This service provides the ability to tag content inside an image that is used to train Watson to be able to automatically recognize the same pattern inside of other images. These services provide the ability to convert speech to text and the inverse, text to speech. This category is split between translating one language to another as well as interpreting the text to predict what predefined category the text belongs to. This category is devoted to understanding the content’s tone, personality, and emotional state. 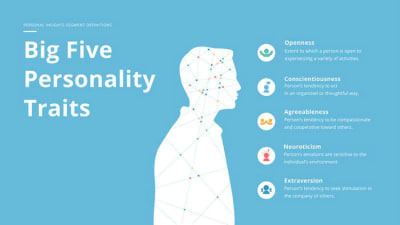 Inside this category is a service called “Personality Insights” that will be used in this article to predict the personality characteristics with the social media content we will provide it. This article will be focusing on understanding the personality of the content that we will fetch from Twitter. However, as you can see, Watson provides many other AI features that you can explore to automate many other processes simply through training and content aggregation. Personality Insights will analyze content and help you understand the habits and preferences at an individual level and at scale. This is called the ‘personality profile.’ The profile is split into two high-level groups: Personality characteristics and Consumption preferences. These groups are further broken down into more finite components. Note: To help understand the high-level concepts (before we deep dive into the results), the Personality Insights documentation provides this helpful summary describing how the profile is inferred from the content you provide it. Note: Each dimension has six facets that further characterize an individual according to the dimension. For more information, see Personality models. Each category contains from one to as many as a dozen individual preferences. Note: For more information, see Consumption preferences. For a more in-depth overview of a particular point of interest, I suggest you refer to the Personality Insights documentation. To be effective, Watson requires a minimum of a hundred words to provide an insight into the consumer’s personality. The more words provided, the better Watson can analyze and determine the consumer’s preference. This means, if you wish to target individuals, you will need to collect more data than one or two tweets from a specific person. However, if a user writes a product review, blog post, email, or anything else related to your company, this could be analyzed on both an individual level and at scale. To begin, let’s start by setting up the Personality Insights service to begin analyzing a real-world example. Watson is an enterprise application but they offer a free, limited service. Once you've created an account and are logged in, you will need to add the Personality Insight service. IBM offers a Lite plan that is free. The Lite plan is limited to 1,000 API calls per month and is automatically deleted after 30 days — perfect for our demonstration. Once the service has been added, we will need to retrieve the service’s credentials to perform API calls against it. From Watson’s Dashboard, your service should be displayed. After you've selected the service, you'll find a link to view the Service credentials in the left-hand menu. You will need to create a new ‘Credential.’ A unique name is required and optional configuration parameters can be defaulted for this login. For now, we will leave the configuration options empty. After you have created a credential, select the ‘View’ credentials link. 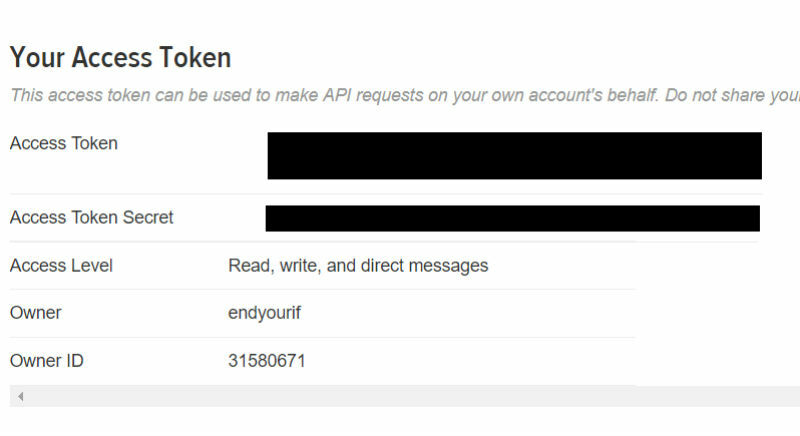 This will display the API’s URL, your username, and password required to securely execute API calls. Save these somewhere safe as we will need them in the next step. To perform API calls, I am going to use Node.js. If you already have Node.js installed, you can move on to the next step; otherwise, follow the instructions to setup Node.js from the official download page. Before making the first call, the PersonalityInsightsV3 object needs to be instantiated with the credentials from the previous section. Begin by creating a new file called index.js that will contain the Node.js code. The profile function accepts an array of contentItems. The ‘content’ item contains the actual content with a few additional properties identifying additional information to help Watson interpret it. The language that the content provided, e.g. (en). 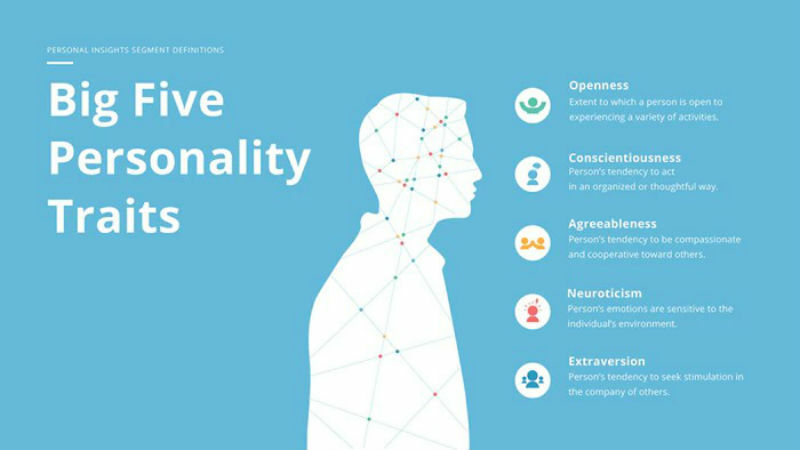 This is an array of the ‘Big Five’ personality characteristics (Openness, Conscientiousness, Extraversion, Agreeableness, and Emotional range). Each characteristic contains an overall percentile for that characteristic (e.g. 0.8100175318417588). To ascertain more detail, there is an array called children that provides more in-depth insight. For example, a child category under ‘Openness’ is ‘Adventurousness’ that contains its own percentile. This is an array of the twelve characteristics that define the aspects a person will resonate with a product (Excitement, Harmony, Curiosity, Ideal, Closeness, Self-expression, Liberty, Love, Practicality, Stability, Challenge, and Structure). Each characteristic contains a percentile of how the content was interpreted. This is an array of the five characteristics that describe motivating factors that influence a person’s decision making (Self-transcendence / Helping others, Conservation / Tradition, Hedonism / Taking pleasure in life, Self-enhancement / Achieving success, and Open to change / Excitement). Each characteristic contains a percentile of how the content was interpreted. This is an array that contains thirty-one elements. Each element provides a percentile of when the content was created. Seven of the elements define the days of the week (Sunday through Saturday). The remaining twenty-four elements define the hours of the day. This helps you understand when customer’s interact with your product. This is an array that contains eight different categories with as much as a twelve child categories providing a percentile of likelihood to pursue different products, services, and activities (Shopping, Music, Movies, Reading and learning, Health and activity, Volunteering, Environmental concern, and Entrepreneurship). This is an array that provides messages if a problem was encountered interpreting the content provided. See the Pen Example Watson Results by Jamie Munro (@endyourif) on CodePen. Before we can implement the Twitter package, you need to create a Twitter application. These are the fields we will feed Watson. See the Pen Donald Trump Watson Results by Jamie Munro (@endyourif) on CodePen. The ‘Conscientiousness’ trait at a high-level is average at 46% compared with the ‘Openness’ high-level average of 88%. Whereas ‘Agreeableness’ is very low at only 25%. I guess people on Twitter don’t like to agree with Donald Trump. Moving on to the ‘Needs.’ The sub-categories of ‘Curiosity’ and ‘Structure’ are in the 60 percentile compared to other categories being below the 10th percentile (Excitement, Harmony, etc.). And finally, under ‘Values,’ the sub-category that stands out to me as interesting is the ‘Openness’ to ‘Change’ at an abysmal 6%. Based on when you perform your search, your results may vary as the results are limited to the past seven days from executing the example. From these results, I would determine that the average person who tweets about Donald Trump is quite intellectual, challenges authority, and is not open to change. With these results, it would allow you to automatically alter how you would target your content towards your audience to match the results received. You will need to determine what categories are of interest and what percentiles do you wish to target. With this ammunition, you can begin automating. What Else Can I Do With Watson? Teach Watson how to look for specific patterns in images. This could be used to determine if a logo is embedded into a photo. This, of course, is a very small subset that my limited imagination can postulate. I’m sure you can think of many other ways to leverage Watson’s immense capabilities. If you are looking for more examples, IBM has an entire GitHub repository dedicated to their Node.js SDK. The example folder contains over ten sample applications that convert speech to text, text to speech, tone analysis, and visual recognition to name just a few. Before Watson can runaway with technological growth, resulting in the singularity where Artificial Intelligence destroys mankind, this article demonstrated how you can turn social media content into a powerful understanding of how the people creating the content think. Using the results from Watson, your application can use the categories of interest where the percentile exceeds or is less than a predetermined amount to change how you target your audience. If you have other interesting uses of Watson or how you are using the Personality Insights, be sure to leave a comment below.